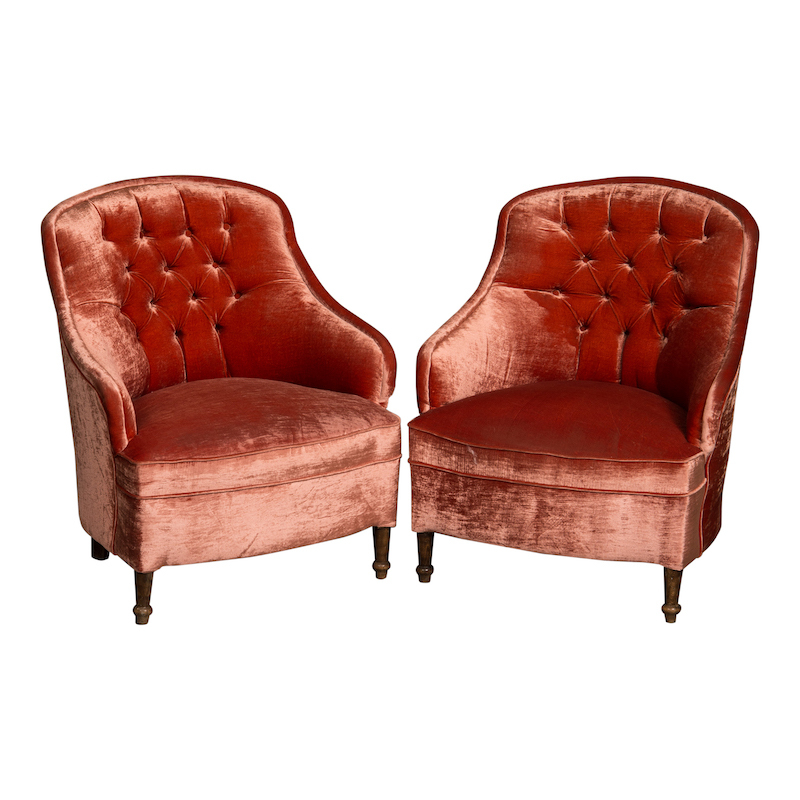 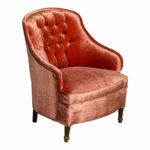 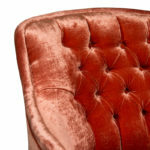 Pink crushed velvet petite armchair. 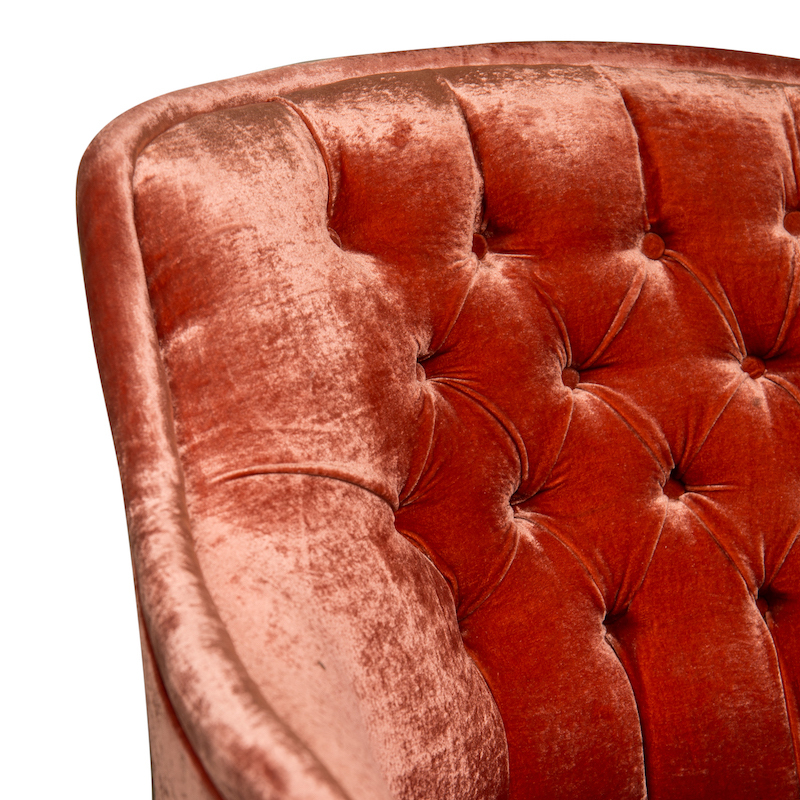 Sits at 13 inches from the ground. 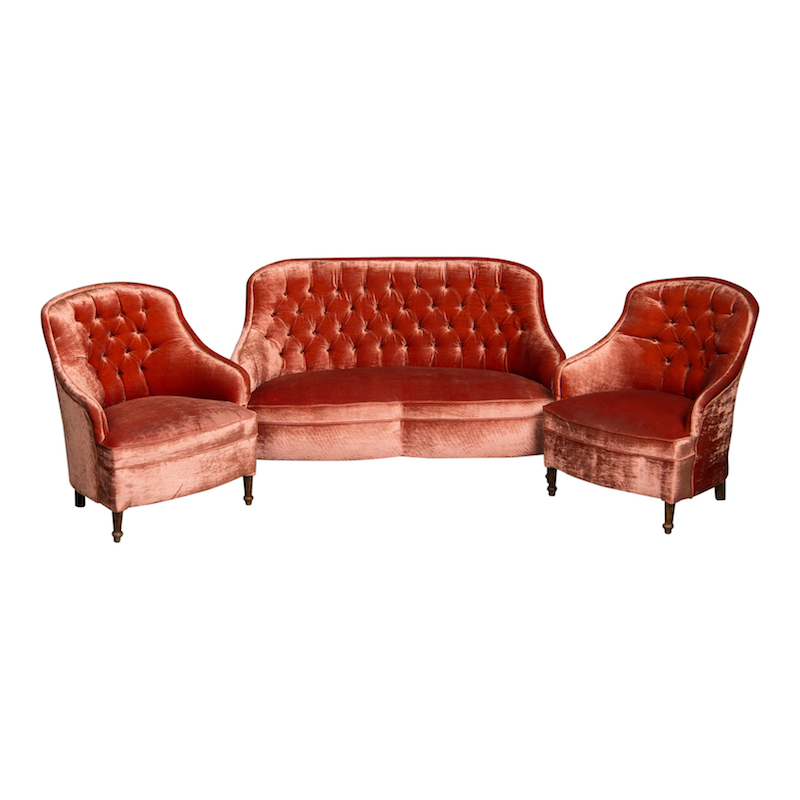 Matching set to the Magdalene Petite Settee.